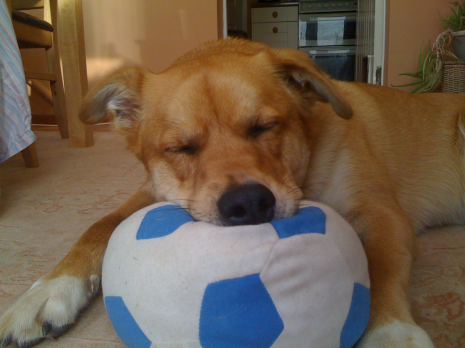 This is an early photo of Theo, with a soft football that was torn to shreds a long time ago. He is particularly dexterous with his paws and often props up his toys and towels into more comfortable nests, or in this case, a pillow. He was probably just over a year old in this photo, and soundly asleep in our conservatory.